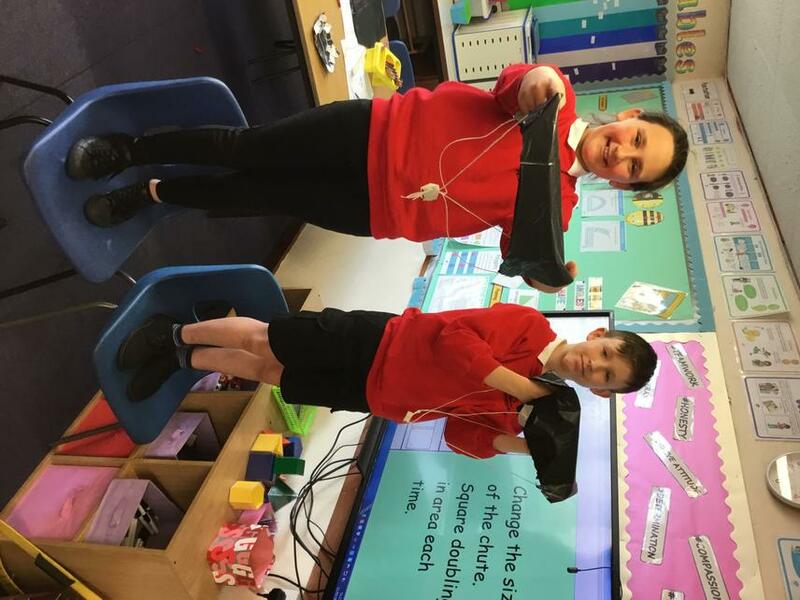 Is there a difference in circumference size between boys and girls skull? 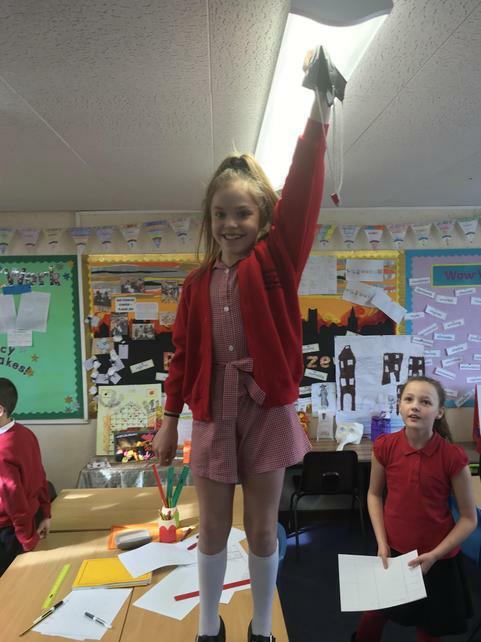 First of all, the children predicted what the outcome could be. 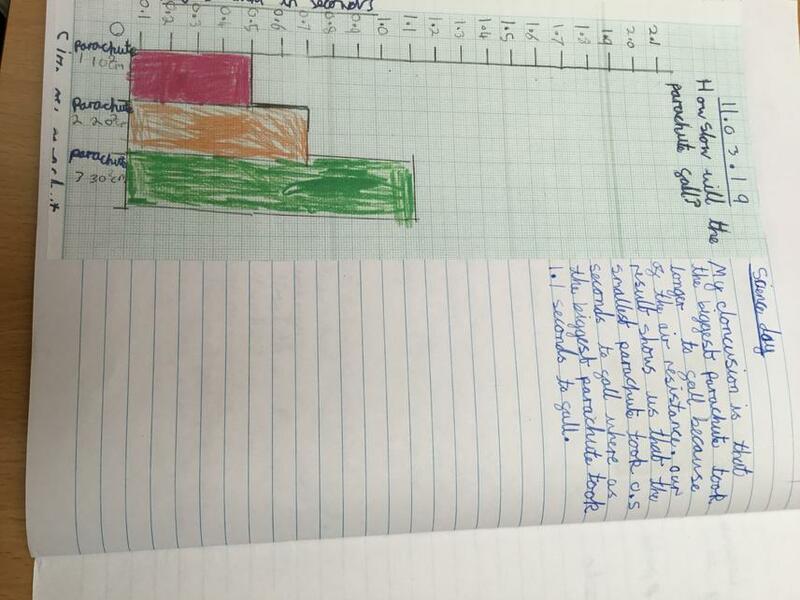 Then we discussed fair testing. 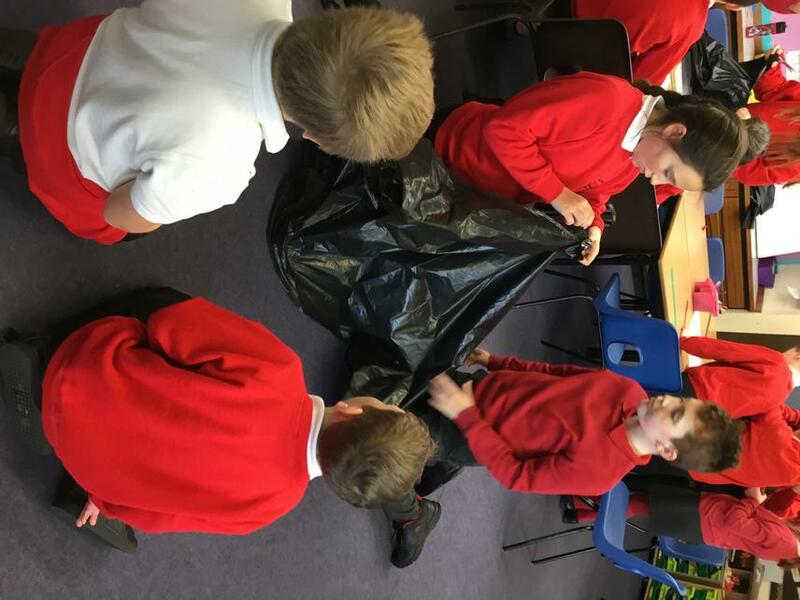 We measured all of the children heads and found that boys heads are bigger! 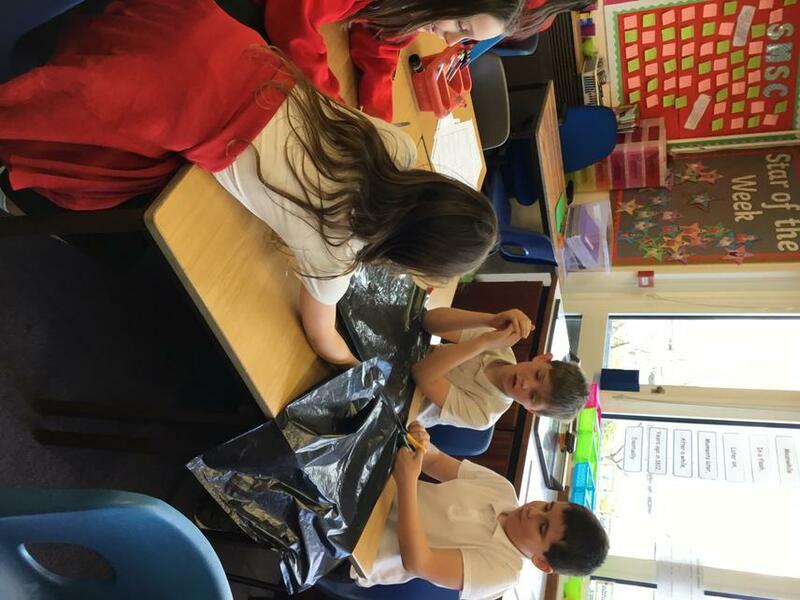 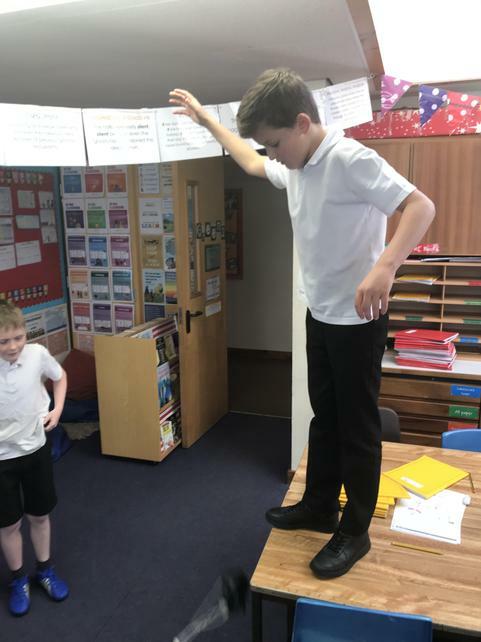 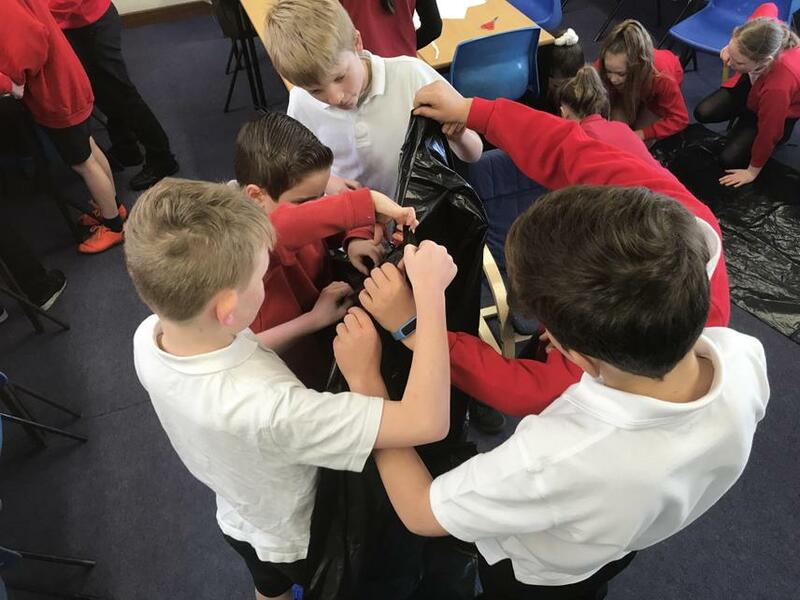 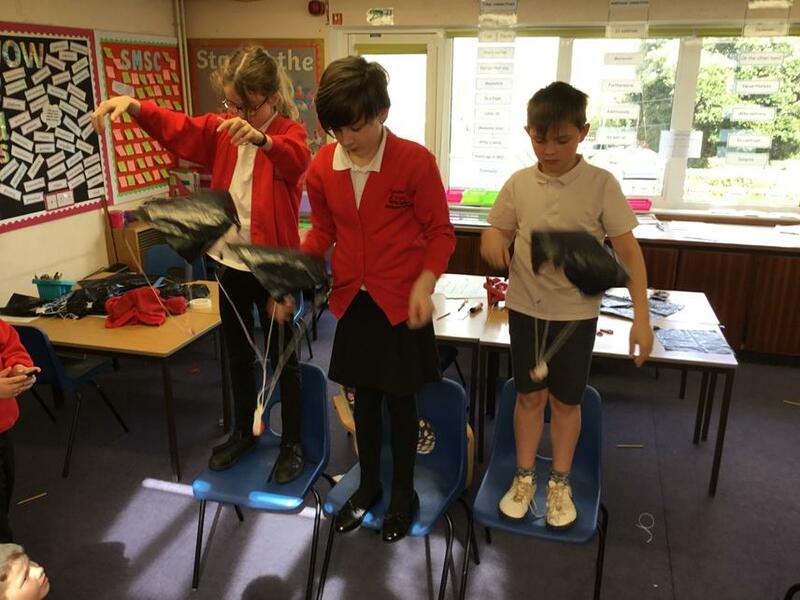 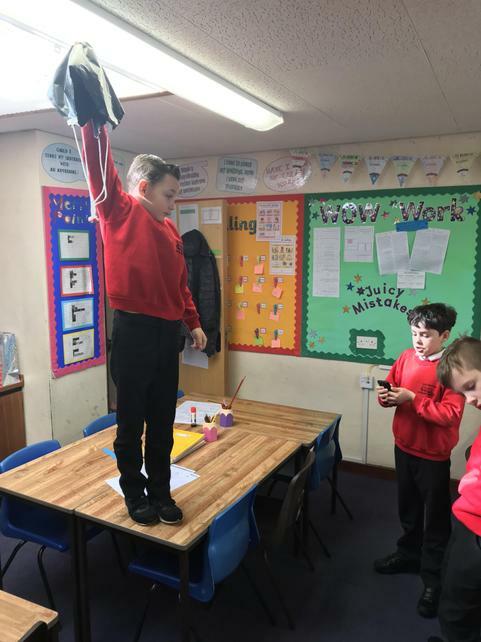 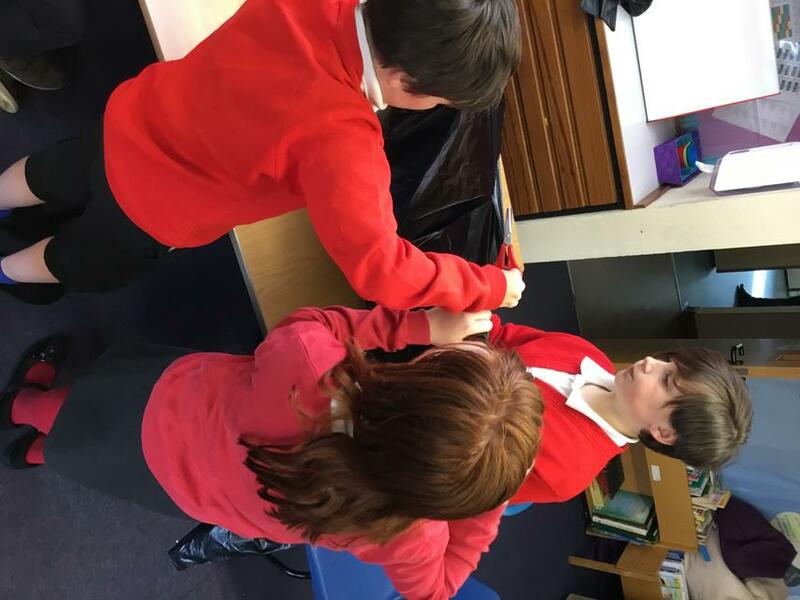 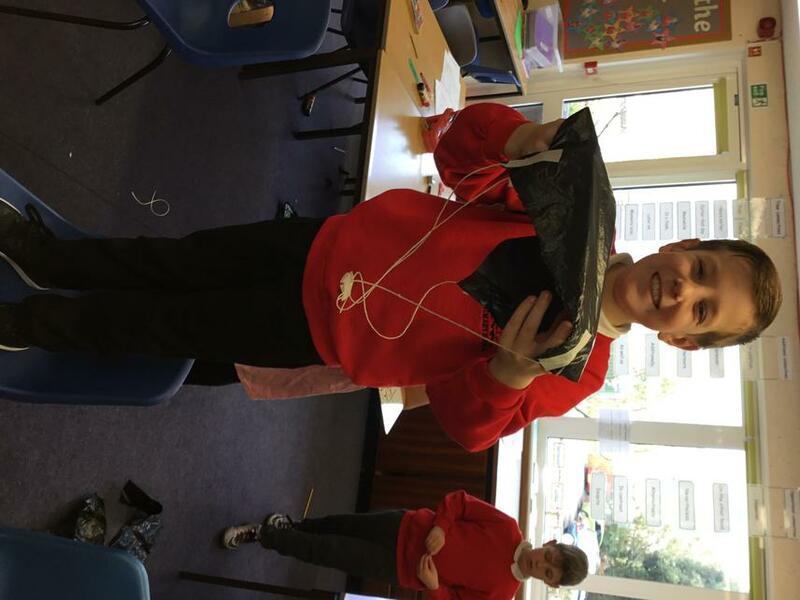 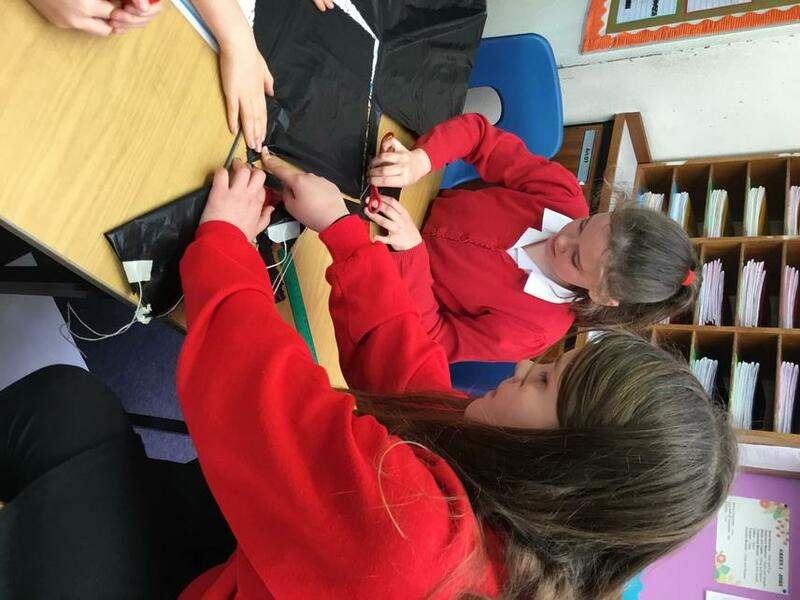 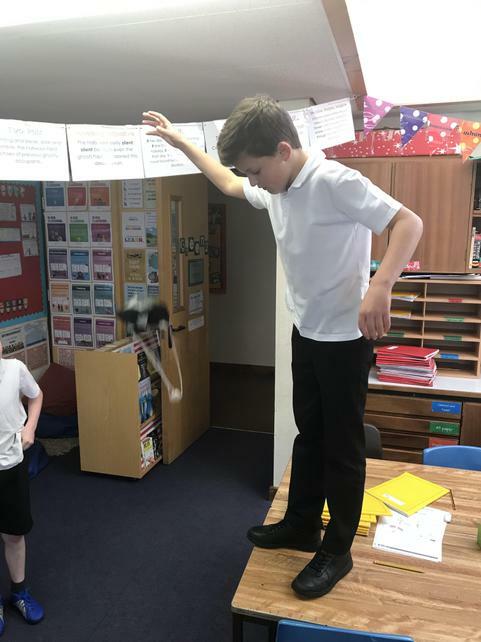 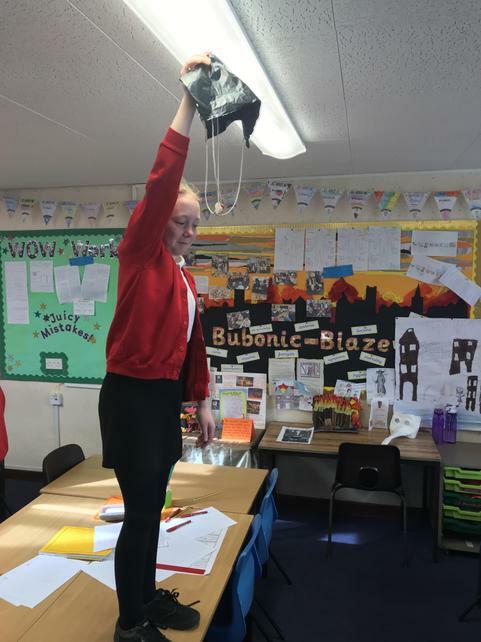 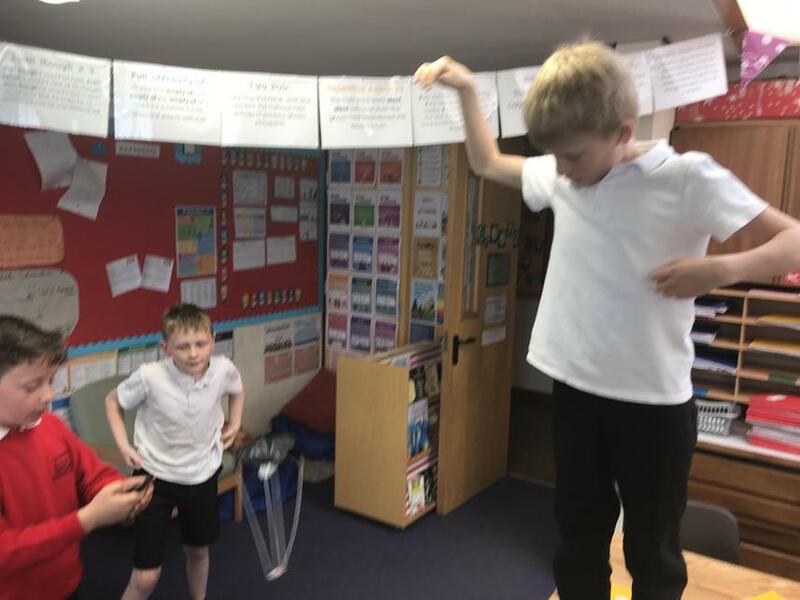 Year 5 explored forces, which were balanced and unbalanced, this culminated in carrying out a practical experiment into air-resistance and surface area of a parachute to increase drag. 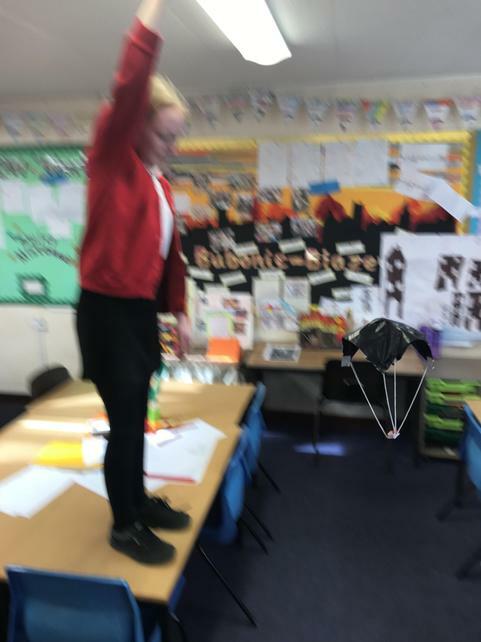 The children enjoyed creating 3 different sized parachutes and tested which one would land to the ground first. 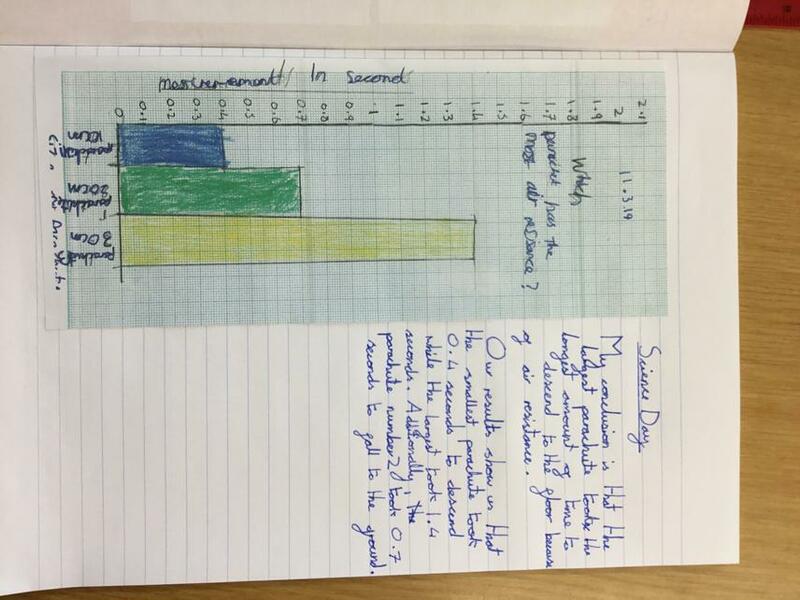 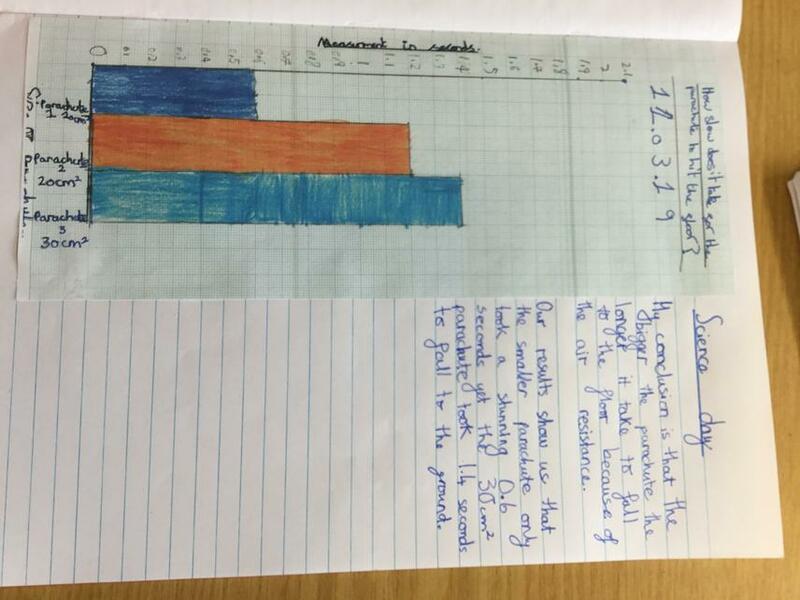 The children then used this data to create a graph to compare the results. 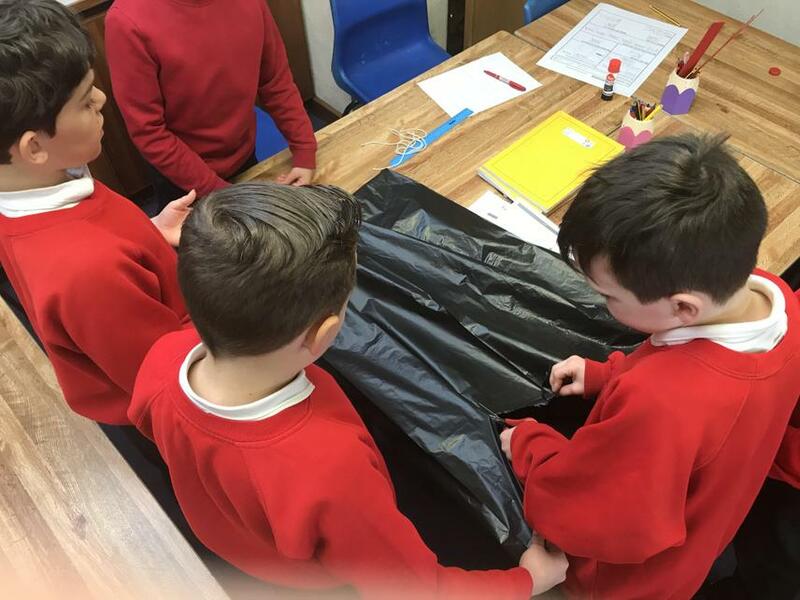 In Nursery, we spent the day observing and making comments about the life cycle of a frog. 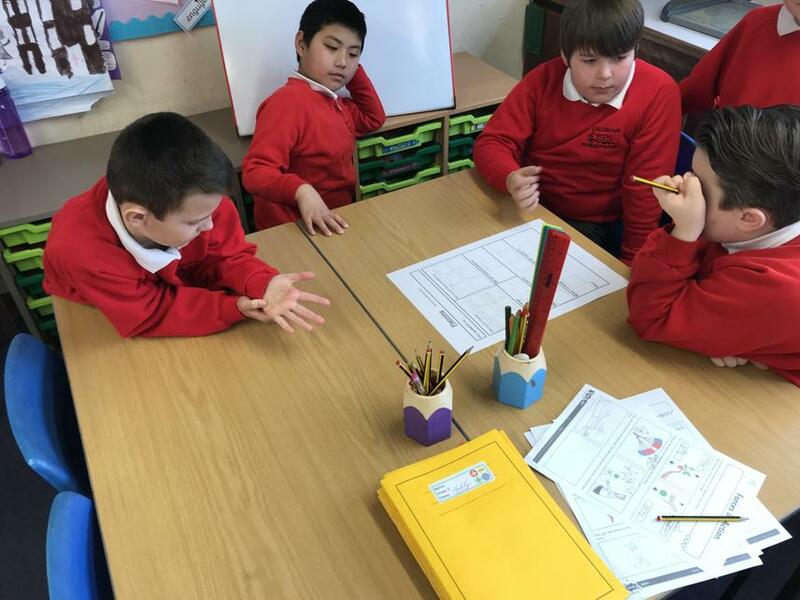 The children ordered pictures of the life cycle and then drew their own pictures of frog spawn, tadpoles and frogs. 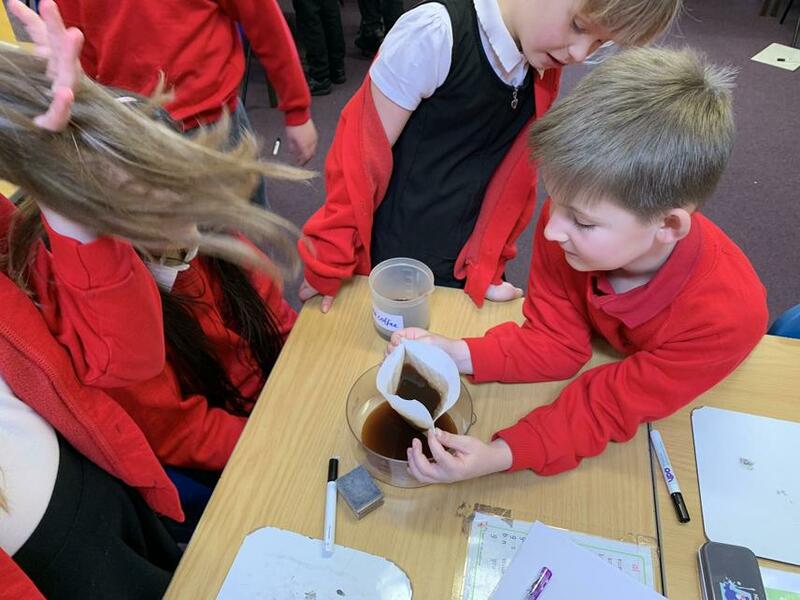 They made fantastic comments such as "Frog spawn looks like eyeballs" "Tadpoles are squishy and wiggly" "Tadpoles will grow legs". 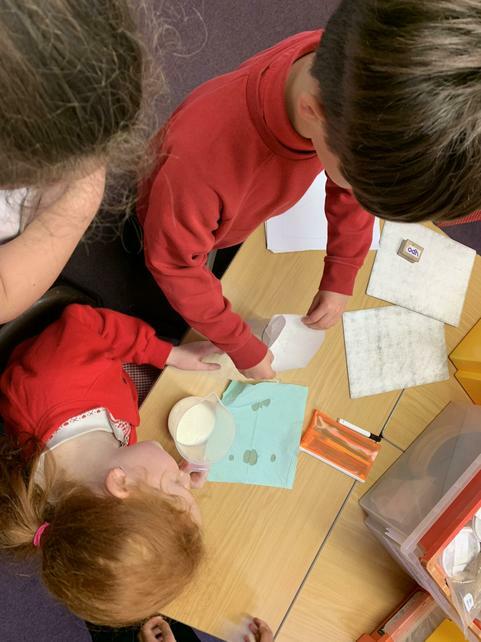 We also planted some seeds and talked about what they needed to grow, the children all knew that they needed to be watered. 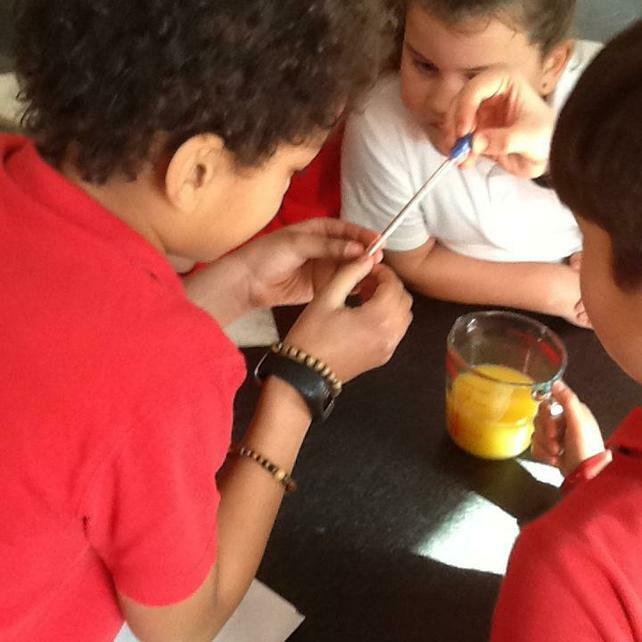 They can't wait to watch them grow and see how they change! 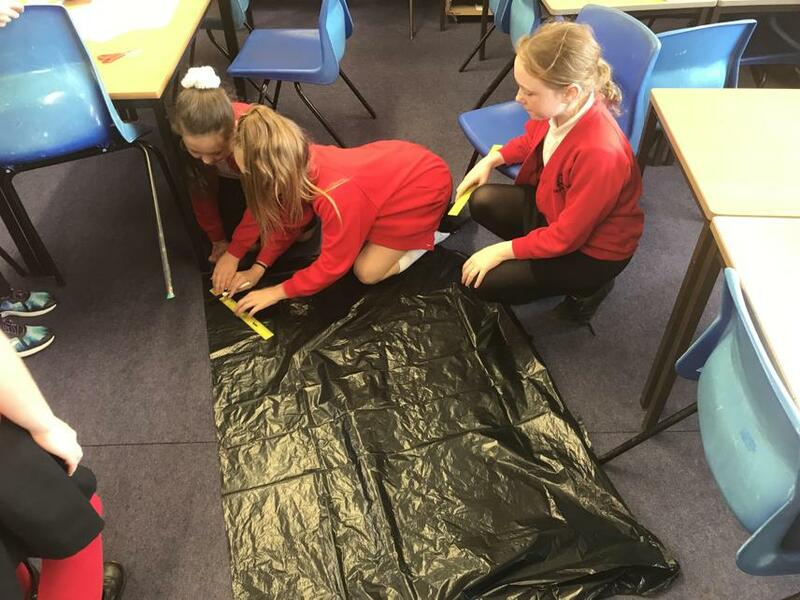 Outside the children investigated how to make different cars travel as fast as they could down a drain pipe, they loved doing this and worked really well in partners and teams. 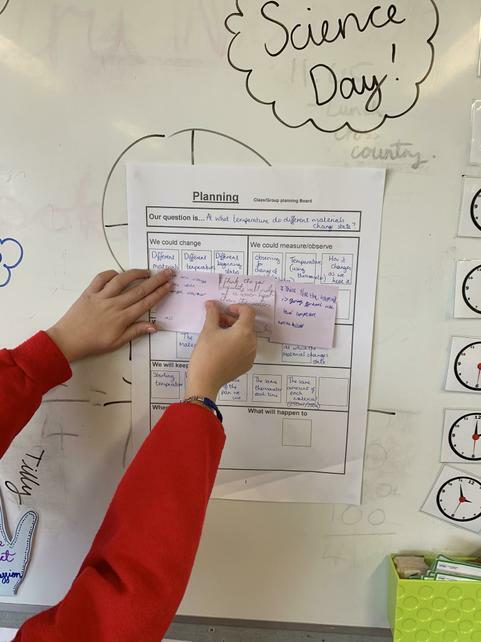 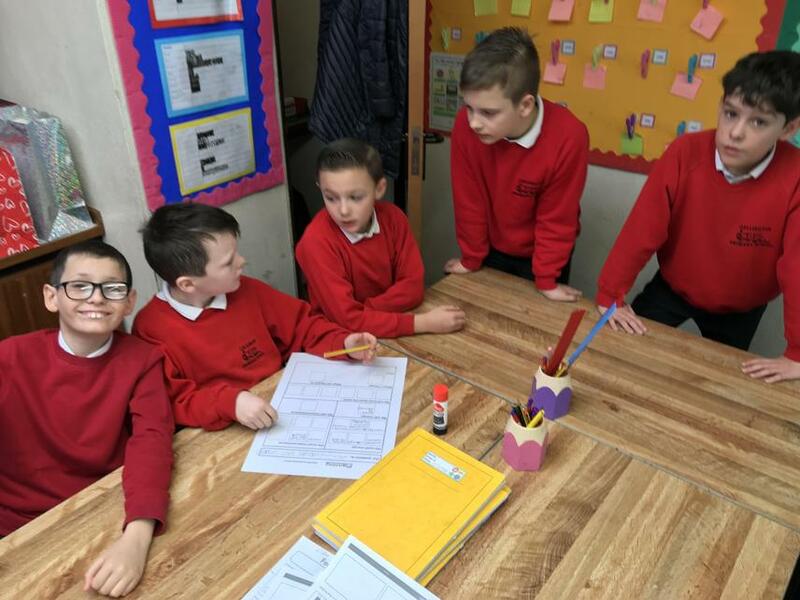 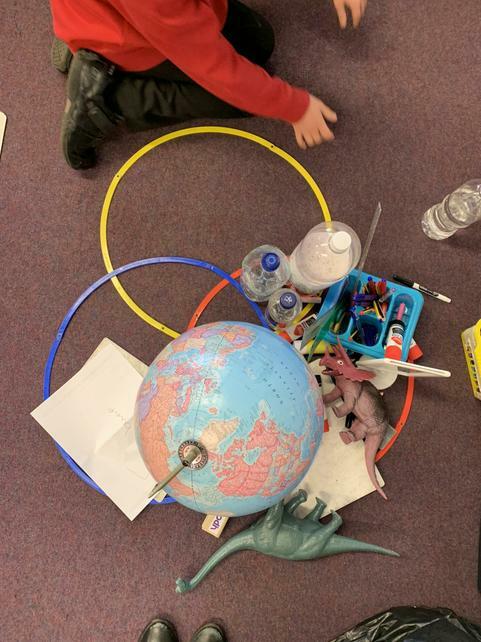 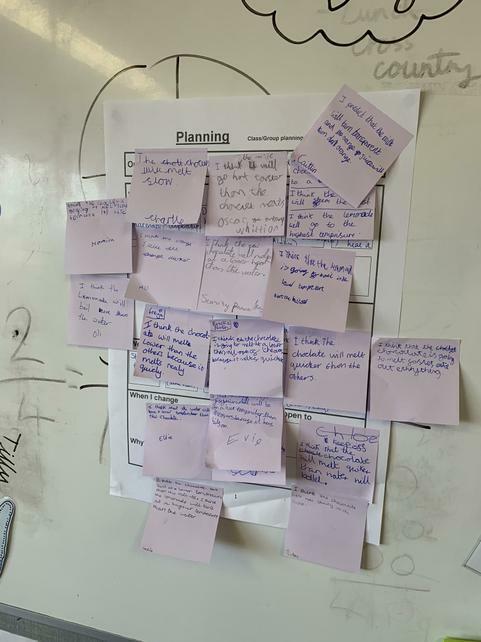 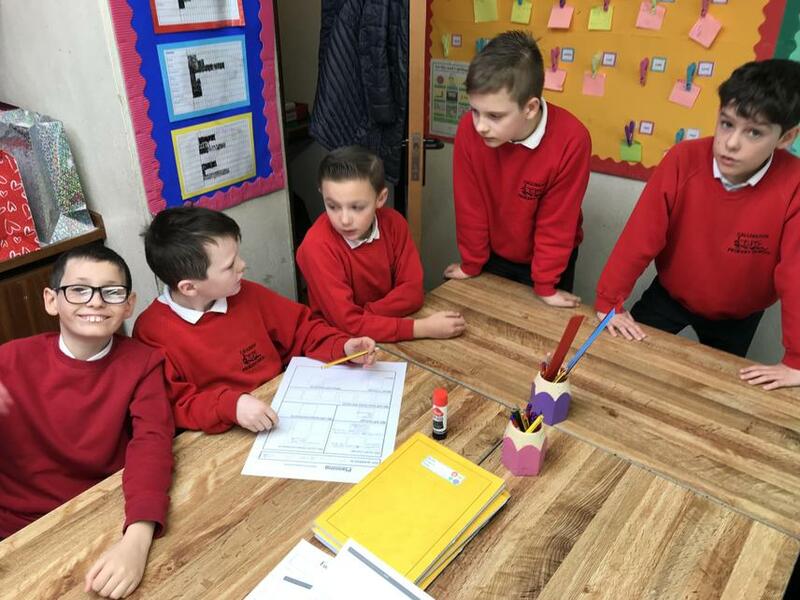 In year 4, we spent our science day investigating and learning about grouping and investigating materials. 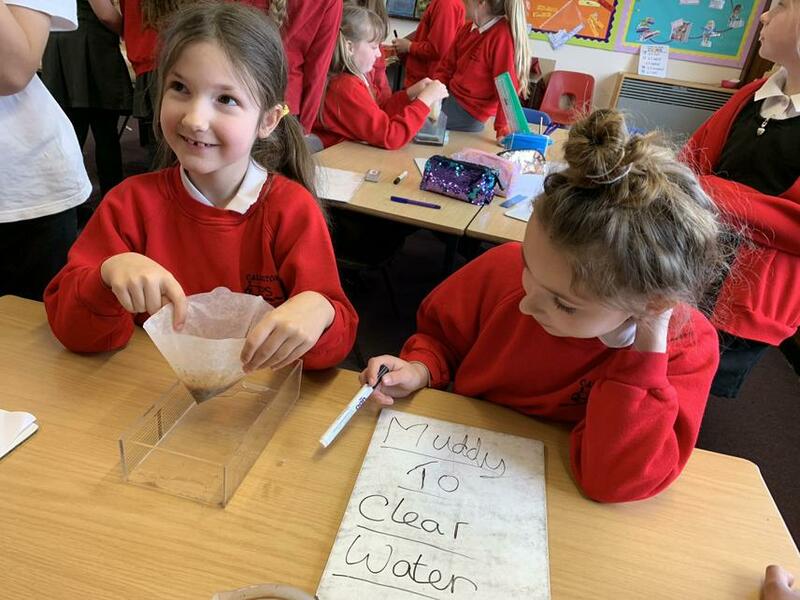 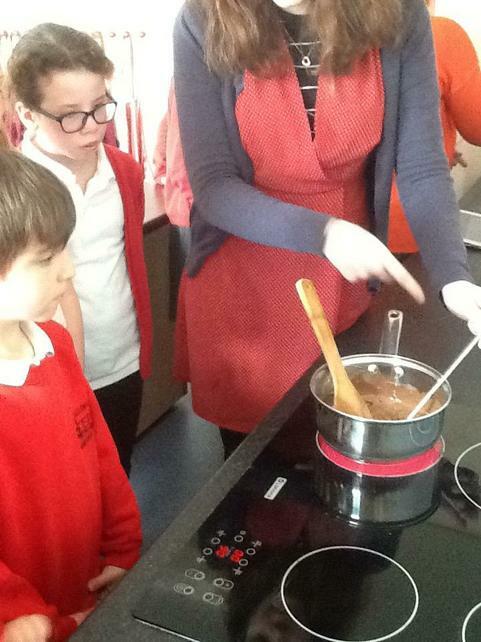 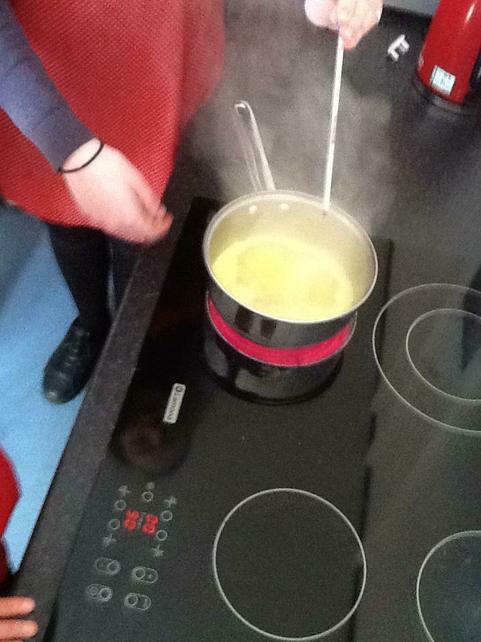 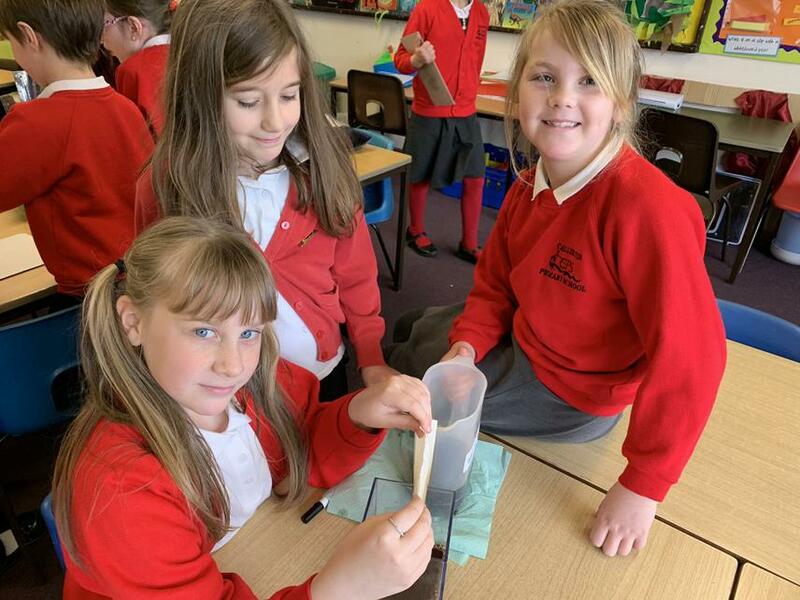 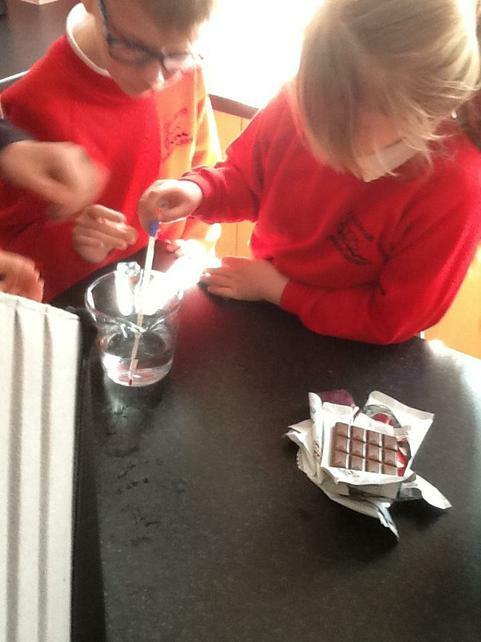 We learnt about solids liquids and gases and had a go at filtering out solids from liquids. 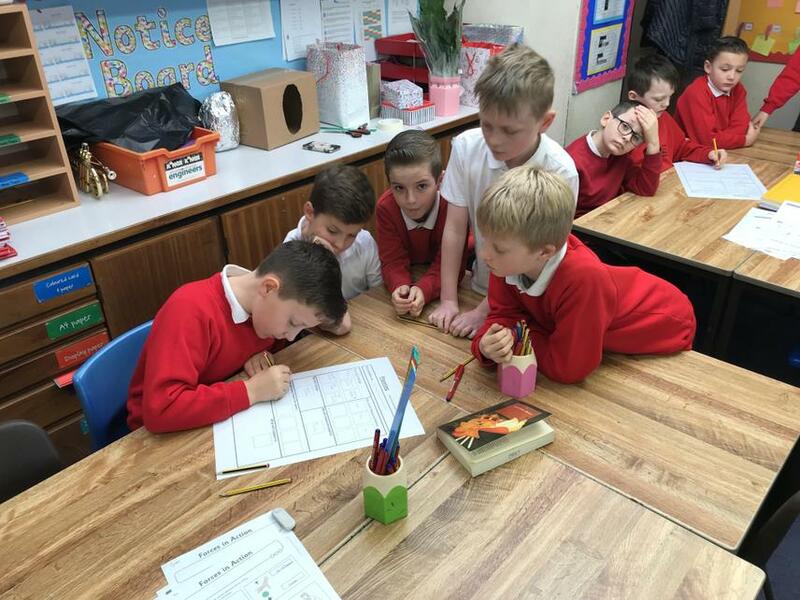 We made some predictions about which ones we would find solids in and how they would look. 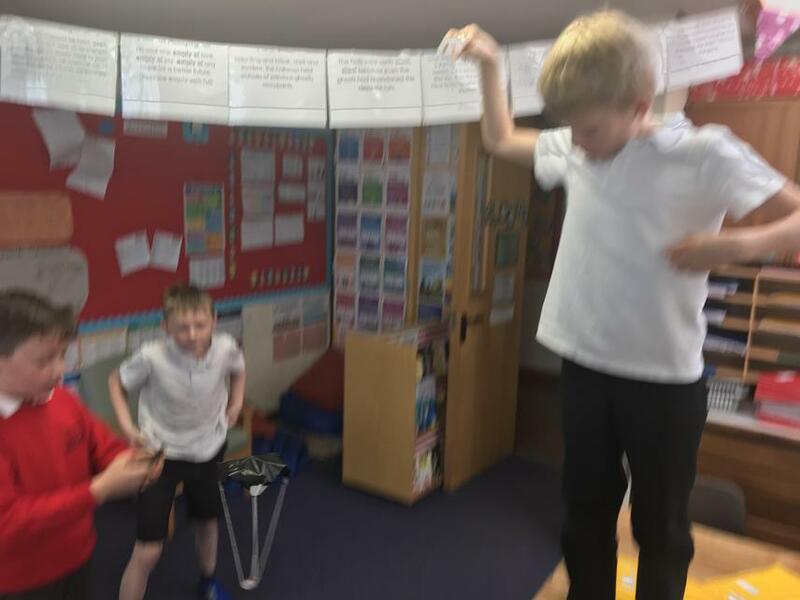 Mostly, we were right! 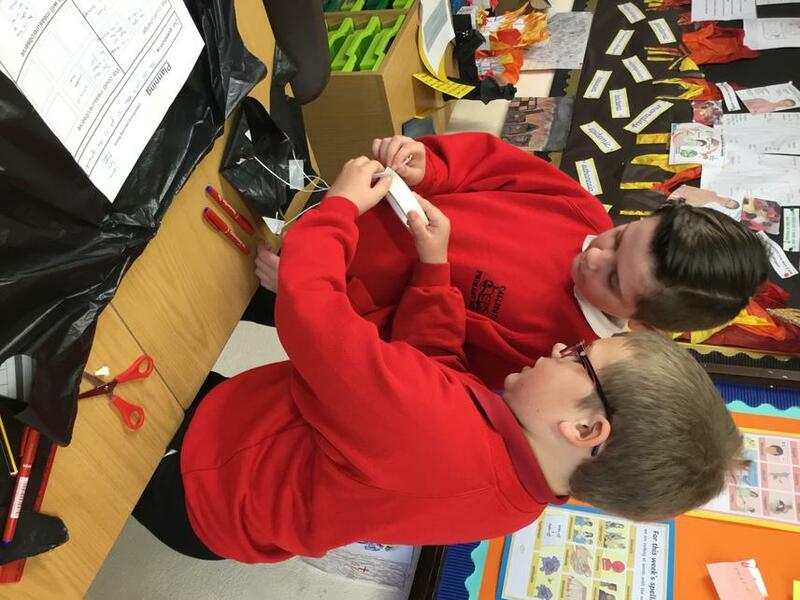 We also wanted to find out about what temperature different materials needed to be in order to change their state. 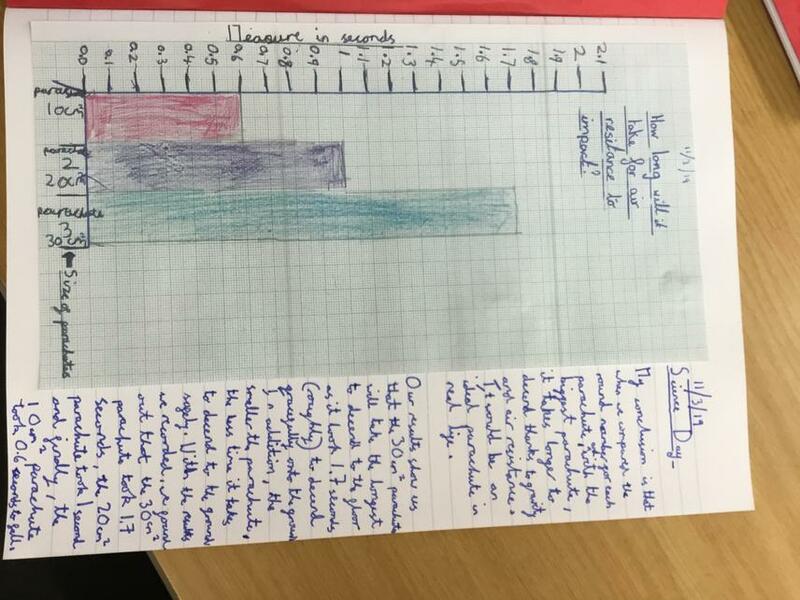 We decided what type of scientific enquiry would be the most appropriate, planned the experiment as a class, made our predictions, tested it out with saucepans and thermometers and finally drew our results up into a bar graph!